The Research Group of Hydrological and Environmental Modelling (GIMHA) is part of the Hydraulics and Hydrology Research Area of the Research Institute of Water and Environmental Engineering (IIAMA), in the Universidad Politécnica de Valencia. 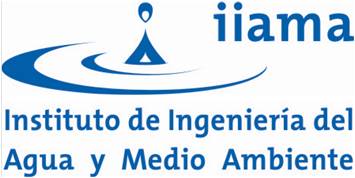 The IIAMA has the objective of promoting the technical and scientifical research in a coordinated and pluridisciplinary way by the integration of research groups from different knowledge areas, as well as promoting the specialized training and technical consulting in those topics related with water, considered both as resource and as cornerstone of the biosphere. The GIHMA is coordinated by Professor Félix Francés. Prof. Francés has more than 20 years of experience in Hydrology, Hidraulics and Environmental subjects, both at research and consultancy levels, with a preference for the topics that affect the Comunidad Valenciana. Despite the recent creation of the GIMHA, in April 2011, the experience achieved by its members in the field of modelling the different processes and relationships that occur in water systems, enable this group of researchers to provide consulting services to national and international agencies and companies. Incorporating our team, supported by the scientific and technical quality of the Universidad Politécnica de Valencia, will facilitate the achievement of objectives by model development, implementation and outcome with high quality results. The huge number of R+D+i projects developed by the GIMHA members have been supported by City Councils, the regional government of Generalitat Valenciana, the Spanish Goverment, The European Union Framework Programmes, and the agencies and companies involved in water issues. The results achieved by this group in terms of research papers, national and international congress communications, books and book chapters, free software, Ph.D. dissertations, and M.Sc. Thesis justify the creation of this website for the dissemination of our work.